I think that RAK is making their products better day-by-day. My suggestion is a better and clear manuals and a better logic distribution of the content in the Github. I am still looking for the payload documentation. Could you help me to clarify my doubts? Can you take a photo for your RAK5205 device and upload it here? I want to confirm about its antenna. Do we have any documentation about the RAK5205 payload format? I would like to thank by your support. 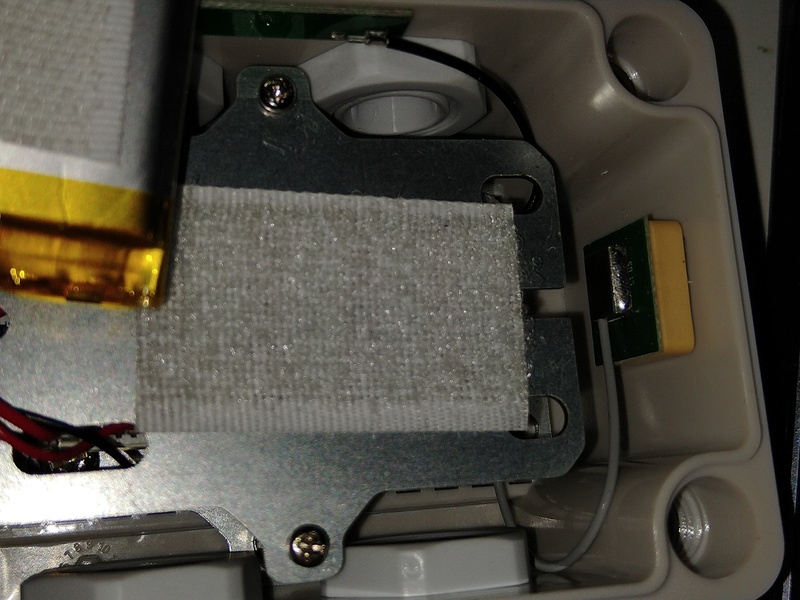 And about the GPS antenna that you ask me a Picture? There is a document for payload RAK5205 format. About GPS antenna picture, we’re checking. 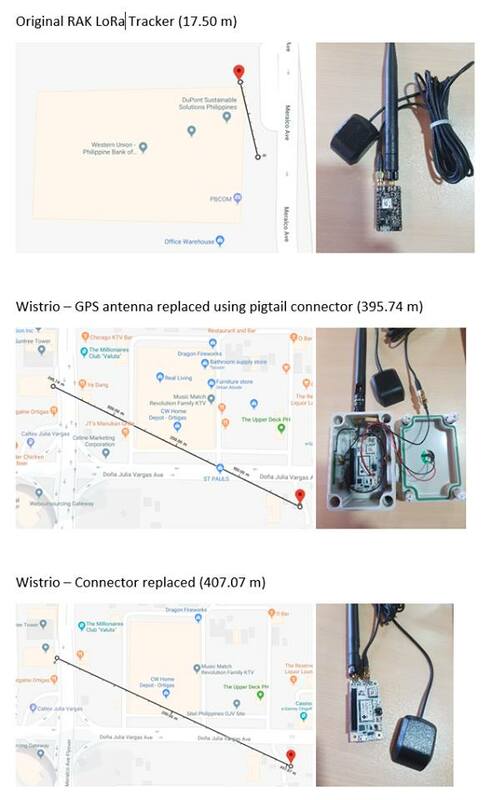 We’re experiencing the same problem with our devices, we tried swapping Wistrio’s GPS Antenna with RAK LoRa Tracker and we have the same result, there’s a difference of 200-400 meters. @CGMisola can you tell us the firmware version ? We tried both RAK811_HF_trackerboard_V2.0.0.6 and RAK811_HF_trackerboard_V2.0.0.7, still the same result. I’ve seen that there’s a new version V2.0.1.8, we’ll try it later and give you a feedback. We tested 4pcs of RAK5205 and found that the GPS data read by each product in the same position were different . We have fed back the problem to FAE of ublox to solve. @CGMisola We have test rak5205 in our side . we have 4 pcs rak5205 as test sample . and use the same firmware and read the gps data 10times for each one . and we use the first one as the sample . others will caculate the distance . the max range is 25.34meters . please check . Last week I upgrade the firmware to V2.0.1.8. Two new fields are added in the Cayenne LPP. They are shown in the application as “Analog values”. What is the meaning of them? Channel 8 is speed from the GPS and channel 9 is the air quality from the bme sensor. LPP format don’t have data type for them. You have to manually name them and choose what widgets to use. 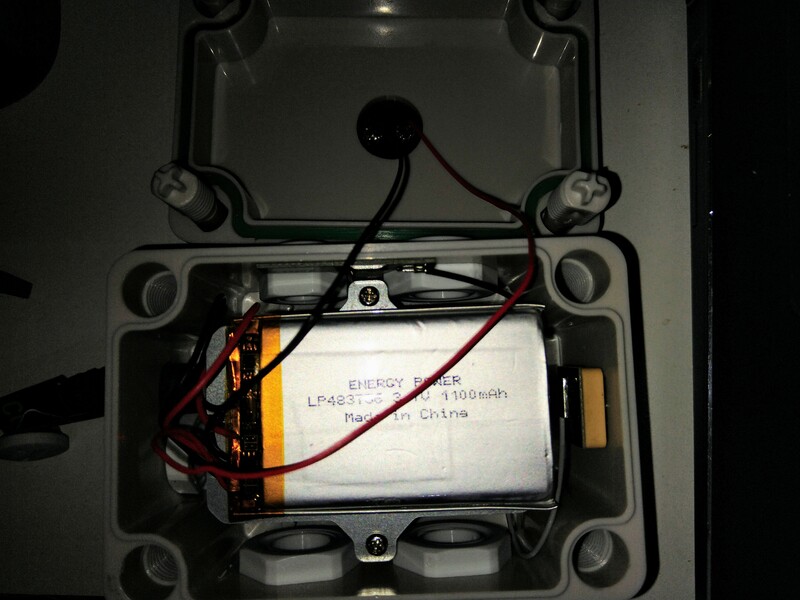 i am doing a batery indoor charging, and this is the reason that you are not seeing GPS value now, but it is using channel 1. But channel 8 and 9 are other thing that I don´t know yet. Those are represented as general Analog Inputs, because LPP limitations. There is no LPP class for those types of data (unlike the temperature, GPS coordinates, etc.) This is a limitation of the LPP as a data format, it has nothing to do with RAK5205, at least to my understanding. 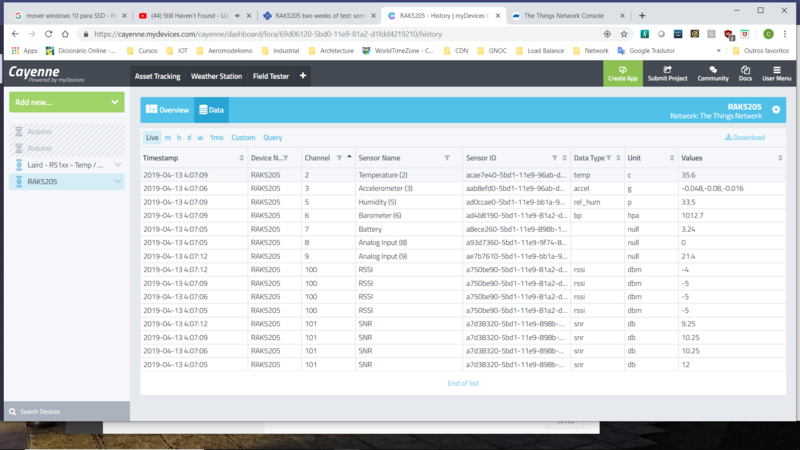 For this reason you need to manually rename Channel 8 to Speed and Channel 9 to Air Quality for example and select a widget that would suit your needs as far as representation goes. Agree. 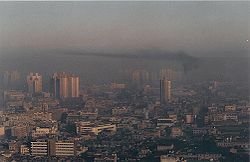 Do you know what is the speed unit and air quality unit? My recomendation to RAK is develop a profile for RAK5205 for Cayenne. I have a Laird RS1xx for humidity and temperature measurement and the registration processo is plug and play because the profile is already registered. Thank you very much by your help!